The Elite series by Fireplace Xtrordinair is designed to maintain the aesthetic appeal of the fireplace while delivering up to 76,700 BTUs/hour, through a decorative grill built into the face design, framing the fire and enhancing your home decor. The Artisan fireplace face design and craftsmanship is reminiscent of the iron work in the great lodges of Europe and America. The Artisan is hand-forged and hammered by master blacksmiths in Europe. A source of heat for your home shouldn’t be a source of pollution for our environment. Fireplace Xtrordinair utilizes the latest catalytic technology to reduce emissions by 90% compared to conventional fireplaces. A catalytic combustor reduces the temperature at which smoke ignites, causing it to burn before it leave the firebox. Unlike most fireplaces, the fireplace Xtrordinair Elite serves surpasses the EPA’s strict emissions standards for wood stoves – in fact, emissions are as low as 2.3 grams of particulates per hour for the Model 36 Elite and 2.5 grams ﷯for the Model 44 Elite! 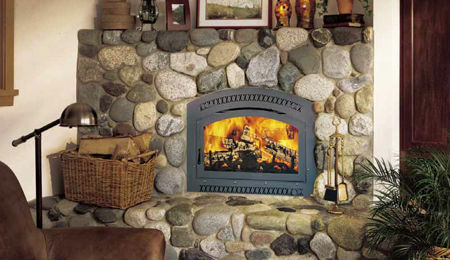 The quiet, remote 388 CFM blower enables use of the fireplace in the family room or the most formal living room. Posi-pressure whole-home heating system or home air re-circulator. Single and Double Door/Face Combinations. Remote-located 388 CFM blower is standard and can be mounted in the interior or exterior of the home. Clean burning EPA Certified catalytic burner system. Optional Firescreen for open door operation. 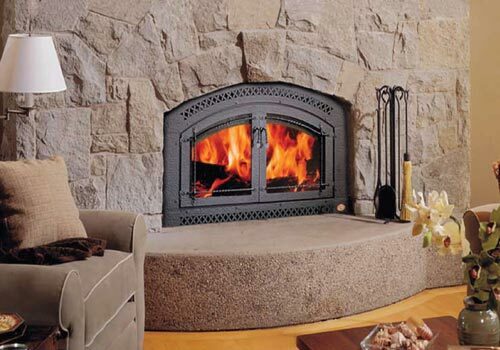 The catalytic 44 Elite ZC wood fireplace is perhaps the finest fireplace ever created. It features EPA approval and Posi-Pressure™ heating through a quiet, remotely located 388 CFM fan which circulates the heat throughout the home. The 44 Elite ZC also has an optional firescreen so you can use your fireplace with the doors open when you are not using the Elite to heat. After you’ve taken one look you can see why this is the only fireplace line that can be called extraordinary. The 42 Apex™ and 42 Apex Clean Face™ Wood Fireplaces are designed to deliver high performance, clean-burning heat, while showcasing a spectacular fire view. 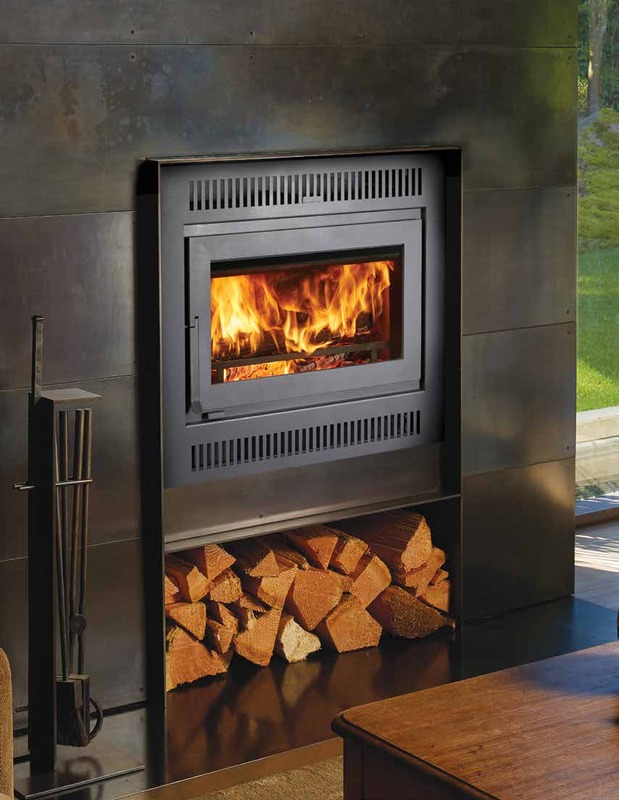 A massive rectangular-styled door and viewing area beautifully frames and complements the fire, offering a sleek design that accommodates all styles, whether you choose the timeless clean face model or one of our stunning designer face styles. Designed to be flexible for all installation applications, the 42 Apex™ and 42 Apex Clean Face™ Wood Fireplaces are the perfect choice for remodels and new home construction, as their simple installation parameters and size allow these models to be featured anywhere in your home, including interior walls. Download a PDF of the full product brochure.